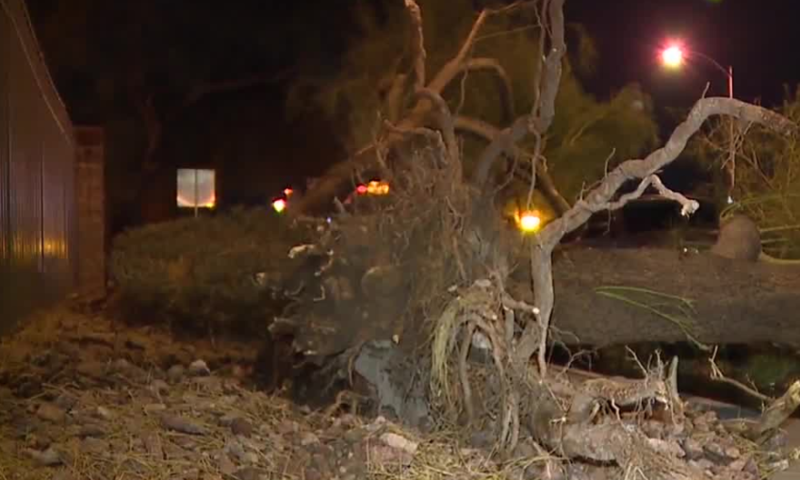 Several trees fell on two cars waiting at a red light at Desert Inn Road and Cabana Drive late Monday night. Witnesses tell 13 Action News the incident just before 11 p.m. resulted in the people in the cars being sent to a hospital with injuries. Police later said no injuries were reported. The trees fell because of a quick-moving monsoon storm. It is not the first time this year that trees around the valley have fallen because of a monsoon storm.